RTK2go® is a community NTRIP Caster created to allow you to publish your GNSS correction streams for others to use with their NTRIP Clients. It is built using the same Pro edition of the SNIP Caster you can find on the use-SNIP.com site. You can download and evaluate your own copy of SNIP® from here. It is one part of the overall simple NTRIP project created by SubCarrier Systems Corp. (SCSC). 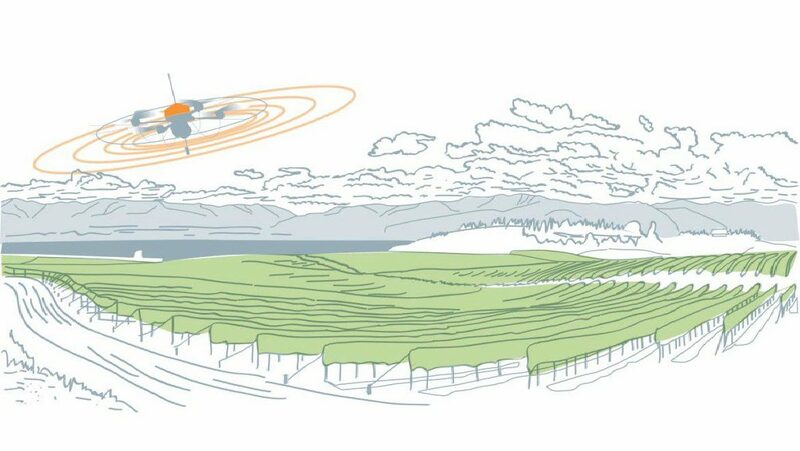 Send your Base Station data to RTK2go® if you do not wish to run your own NTRIP Caster. Please download and use SNIP® if you want to run your own NTRIP Caster. 40,000~100,000+ connections per day, over 150+ data streams, with 2.5+ GB/day served. 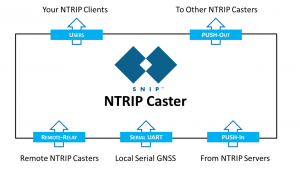 This Caster accepts data from any valid source including other SNIP nodes, the Simple NTRIP Caster, in the PUSH-Out mode, as well as from any other NTRIP Server software. It is not a web site. It is using a SNIP Caster as a software service you can freely use (SaS). If terms like Caster, Client or NTRIP are unfamiliar to you, just click on these links for further explanations. But if these terms are familiar to you, you probably want to know how to log on, see the below. This is a simple “static page” web site as all the interesting things take place using the normal NTRIP protocol layers hosted on the same machine. c) The caster owner / operator shall be held harmless for any faults or loss – real or perceived. The caster owner / operator (SCSC) reserves the right to remove or block any party for abuse. The RTK2go Caster is implemented with the SNIP NTRIP Caster using the same software you can purchase from our SNIP web site. It is running on a common Windows 7 OS on an i5 machine with a reliable internet connection. There are hundreds deployments running both public and private SNIP Caster networks all over the world. 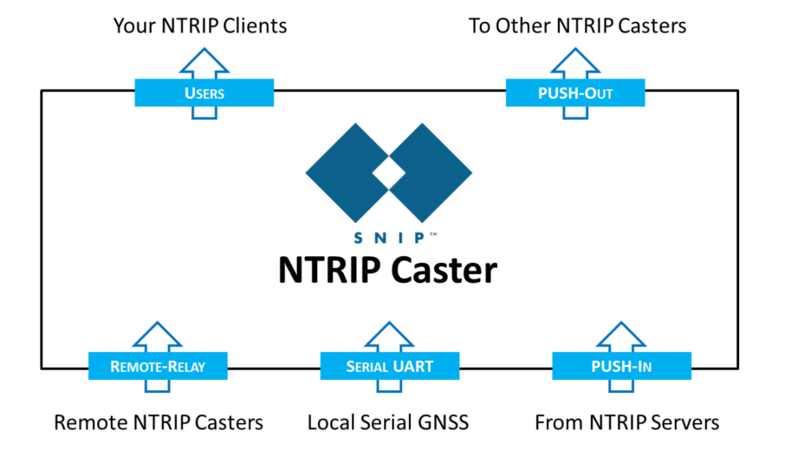 Over the past few years, SNIP has lowered the cost of professional grade NTRIP Caster ownership for GNSS professionals everywhere. If your network needs are small (3 Base Station streams or less) and if you do not required any of SNIP‘s advanced features such as PFAT translations, a NEARest baseline connection, status reporting, or RTCM 3.x message decoding, the Lite model may be ideal for your needs. The Lite model of SNIP is free to use, even for commercial applications. Download a copy here. You can read more about SNIP‘s various features and setup details here. Of course the paid models do have many additional useful features which we hope will convince you to purchase your own copy. Worried about the lack of available static IP at your planned site? No problem, we can help your setup a DDNS connection and register a proper name for your Caster to overcome this, just ask our support staff for details. Are always welcome, please send them to support [at] use-snip.com We use your comments to help us make SNIP the best NTRIP Caster in the world. Want to run your own copy, that’s why we are here. SNIP® and RTK2go® are registered trademarks of SubCarrier Systems Corp. (SCSC).